EL MONTE – Potrero School eighth-grader Stephanie Vega said that when she joined the El Monte City School District’s Mariachi Academy, she struggled with learning how to play the guitar. The Mariachi Academy started at Potrero School in October 2018 to teach students how to play Mariachi-style music as well as musical and cultural appreciation. Students are taught by instructors from the Jose Hernandez Mariachi Academy. During the first Mariachi Academy practice, instructors demonstrated the trumpet, guitar, vihuelas, the violin and the guitarrón and students picked the instruments they would learn to play. Mariachi Academy program coordinator Victor Williams said he has seen students become more and more excited and engaged to learn about Mariachi since the effort launched. Williams said that, while many students use the instruments provided by the school, some have started asking their parents buy them their own instruments to continue their musical aspirations. El Monte City School District is applying for a grant to expand the program to Columbia and Wright School. Mariachi Academy students recently performed at the Shoes That Fit donation event at Potrero School and are gearing up to perform at a District building dedication in April. 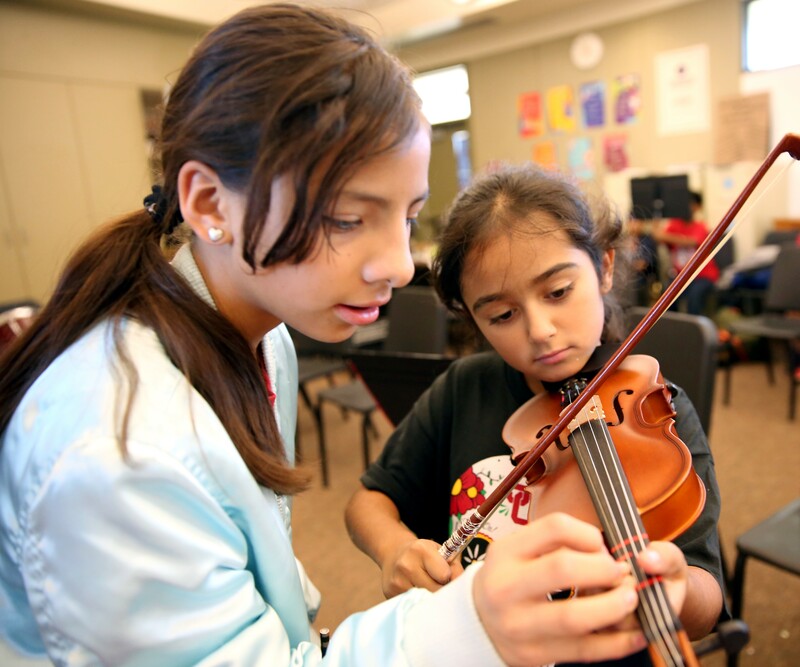 EMCSD_MARIACHI1: Potrero School fifth-grader Malena Perez Aguiniga shows second-grader Penelope Murillo how to hold the strings of her violin during Mariachi Academy practice. 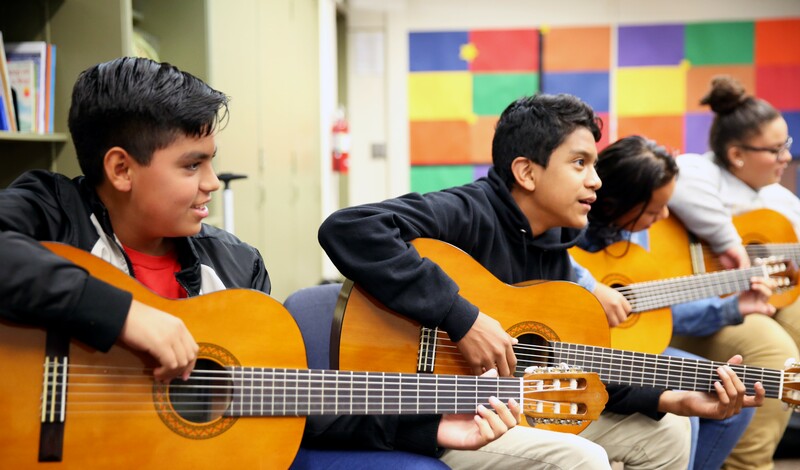 EMCSD_MARIACHI2: Students learn how to play traditional Mariachi instruments, such as guitars, vihuelas (small, traditional Mexican guitars with five strings) or guitarróns (large guitars with six strings that offer a deeper sound) through Potrero School’s Mariachi Academy. Potrero School fifth-grader Malena Perez Aguiniga shows second-grader Penelope Murillo how to hold the strings of her violin during Mariachi Academy practice. Students learn how to play traditional Mariachi instruments, such as guitars, vihuelas (small, traditional Mexican guitars with five strings) or guitarróns (large guitars with six strings that offer a deeper sound) through Potrero School’s Mariachi Academy.